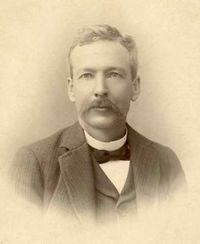 Luther Burbank, plant breeder extraordinaire with perhaps of hundreds of important introductions of flowers, fruit and vegetables to his credit including the potato that helped breakthrough the Irish potato famine. 2001 marked the 100th anniversary of Luther Burbank’s introduction of the Shasta Daisy. Burbank developed this quadruple hybrid which he named after Mt. Shasta. It took Burbank 17 years to do this. Burbank's vision of the new daisy was : 1) very large pure-white flowers; 2) a long blooming period; 3) would do well both as a cut flower and garden plant.